Paper shredder waste sizes – What the numbers mean. If you are contemplating the purchase of a paper shredder, one of the key choices you must make is the security level or shred size. So how do you make the choice? Here are a couple guidelines that have served us well over the years. First, use the largest shred size that will meet the security requirement. 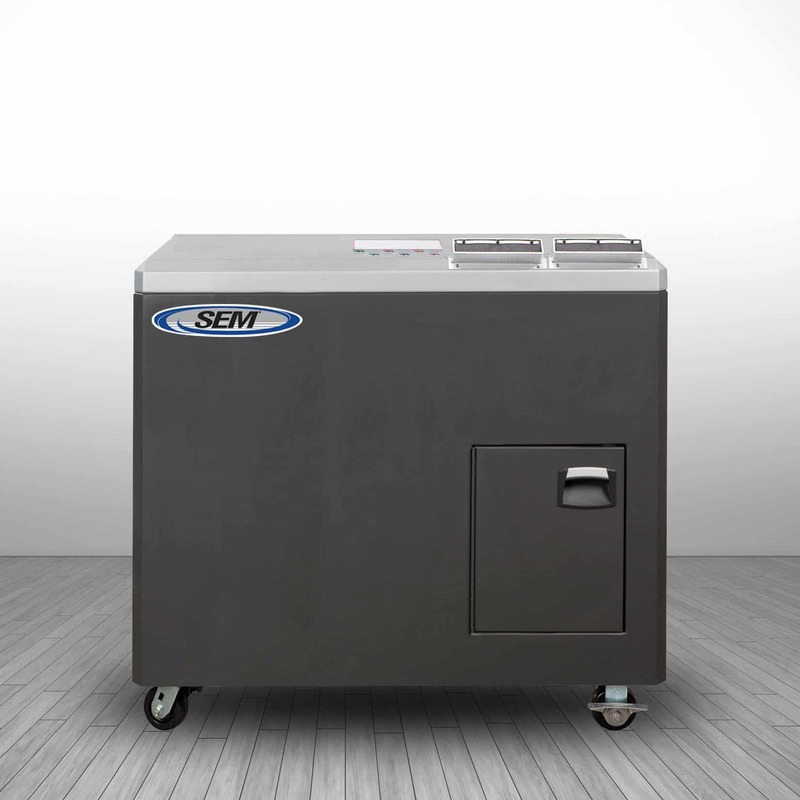 Models with larger shred sizes are more durable and offer more capacity for less cost. Second, there is security in volume. If your volume is heavy, you might consider a larger shred size. It is a more difficult task to reconstruct one-thousand pages than it is to reconstruct ten pages. Another helpful tool is the international destruction standard known as DIN 32 757 (Deutsche Industrial Norm). Shredder manufacturers are now listing six levels of shred sizes, but only five are actually part of the DIN Standard. The reason these are important is because they are observed by all of the major shredder manufacturers. The international standards are used in the marketing of this equipment and are now a significant part of the government procurement process. Let’s review these different levels. Security Level 1 and 2 are strip shred requirements. Documents are cut into strips the length of the paper. These are the lowest security levels. Level 1 is a strip shred of ½” or smaller. Level 2 is a strip shred of ¼” or less. Strip shredders have become less popular in recent years as security concerns have increased. We have stopped actively marketing this type of shredder for this reason. Security Levels 3, 4, and 5 are produced by crosscut shredders. These shredders cut in two directions and produce confetti of various sizes. Security Level 3 is considered a medium security level and a fairly large crosscut particle measuring 3/16” X 3” or less. Security Level 4 is a medium-high security particle measuring 3/32” X 5/8” or less. Level 3 is adequate to meet most unclassified government applications. But if you have doubts, move up to Level 4. Security Level 5 is a high security particle measuring 1/32” X ½” or less. This was the particle size used for classified documents until the US Intelligence Community changed the standard in 2003. If you move to a Level 5 model, you will notice a drastic reduction in capacity. It would be worth your time to take a few minutes to compare the cost and the capacity loss by going to this much smaller shred size. If you still have doubts what shred size to choose after reading this, contact your SEM Regional Manager. These folks have an average of 15+ years of experience working with this type of equipment.